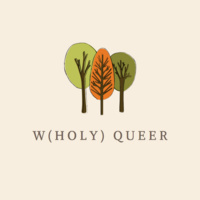 (W)holy Queer is and opportunity for LGBTQ+ students who also identify as spiritual or religious, or want to identify in that way to engage in conversation with one another around the intersections of those identities. Conversations will be facilitated by Ryan Salamony, a Goucher alum and in the Episcopal discernment process; Allison Stickley-Miner, a senior religious studies major at Goucher; Eli DeWitt, a rabbinic intern with Hillel. We look forward to meeting you and cannot wait for our discussions!